A trapizzino is very simple and yet somehow manages to be incredibly satisfying. It was created by Stefano Callegari in 2005, who, with a creative stroke of genius, found the one way to make pizza even better. It originates from the pizza by-the-slice that Rome is famous for, where you can buy small pieces of pizza from shops and take them to go. Sandwiches made with “pizza bianca” or plain focaccia-style bread, are very popular. A trapizzino is essentially a pocket made of this white pizza and filled with a filling, usually a meat or vegetable “secondo” dish that traditionally would be impossible to take to go. They are very reminiscent of microwaveable hot pockets, but infinitely better. Because it’s all contained in a tiny, delicious package, it makes the perfect quick lunch, or snack for the road. Where can I find one in Rome? I first tried a trapizzino at Termini Market when I was checking out all of their different stands. I had heard about it online but the original location in Testaccio is far enough away from where I live and work in Rome that I wasn’t super motivated to go try it out. But compared to the terrible food that I was used to having in Termini (and also on it's own merits), the trapizzino was absolutely delicious. 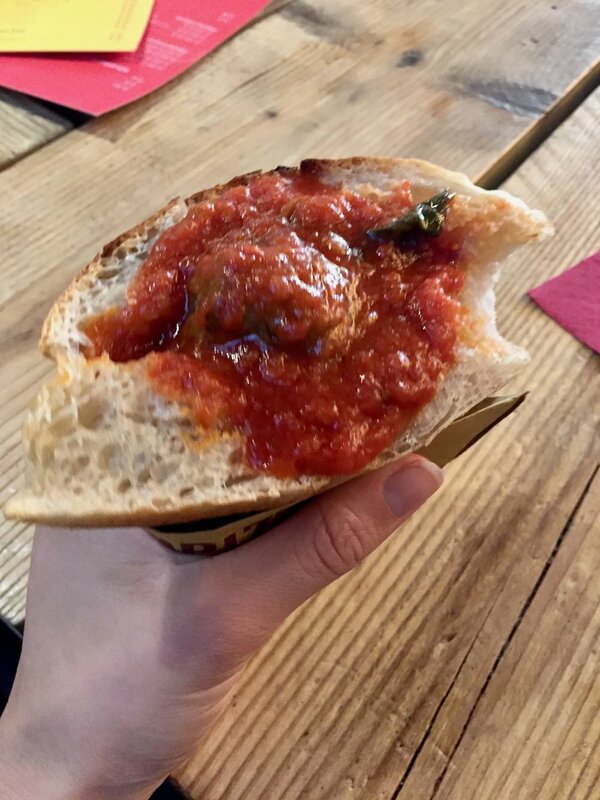 I first tried one with polpette al sugo, which was so similar to an American meatball sub that I was hooked. Later, the classic Roman options (oxtail, chicken caciatora, tripe and tongue with salsa verde) that I tried were even better. Since then, I’ve also tried them in Testaccio, near another of my favorite street food markets in Rome. They also have shops in Ponte Milvio, Piazza Risorgimento and other locations around the city. 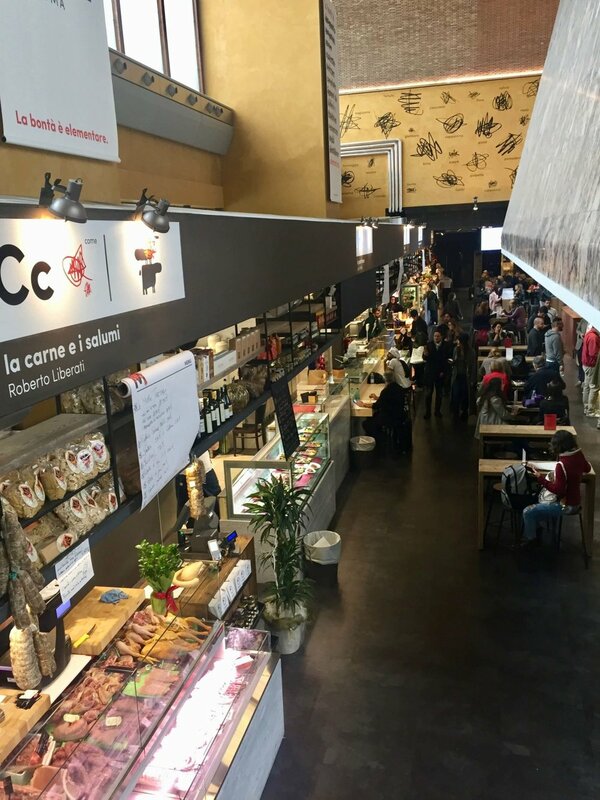 This style of food has already spread to more cities in Italy— there’s a growing market for easy lunch food and working people don’t have as much time these days to have for a full lunch at home or at a restaurant. Interestingly, trapizzini are also available now in the US and Japan. The article here explains more about the background of this speciality food and its expansion to the States. Whether you can go see their NYC location in America or can check them out here in Rome, trapizzini are definitely something to try. Go willing to try some new flavors and with an empty stomach; you won't be disappointed.